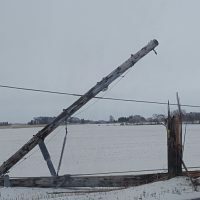 Work has been continuing around the clock in Mower County to restore power to those still without in rural areas of the county after last week’s winter storm. Mower County Sheriff Steve Sandvik reported that the only road still barricaded in the county is 710th Avenue south of Taopi from 130th to 110th Street, and he added that the only township road that is closed is 120th Street between 560th and 570th Avenue south of Rose Creek due to mud and ruts in the road from repair equipment. 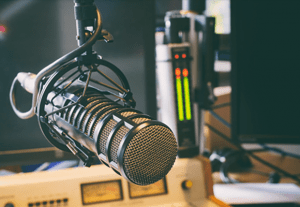 Sandvik went on to report that the intersection of County Road 1 and Highway 56 just east of Waltham has been marked for low hanging wires, but the intersection has been reopened. The National Guard troops that had been barricading rural roads throughout the county since late last Thursday evening to enable crews to restore power were relieved from barricade duty on Saturday afternoon, as Sheriff Sandvik stated that power crews continue to work feverishly to restore power to all areas that were affected by the storm, as power was restored to the City of Lyle at approximately 9:30 p.m. Saturday evening and in Elkton late Saturday evening. Freeborn-Mower Cooperative Services is continuing to make progress on the outage restoral of its service territory. At last word, 800 more customers have had their power restored and 250 poles had been set. Additional crews joined the 124 crew members over the weekend who were called in from other cooperatives and contractor companies. The cooperative now has approximately 150 extra crew members working alongside their crews, and they will continue to work across the territory, systematically, but foresee a great number of remaining customers to be restored by later tonight. Officials with the co-op reported that currently, there are approximately 400 outages.